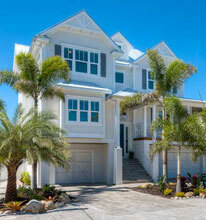 Anna Maria Island offers great shopping for tourists or island residents. The Island has a range of shopping malls, plazas and quirky boutiques. So if you’re looking for a gift or treat for yourself, you will be sure to find something unique here. 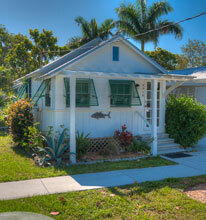 Bridge Street on Anna Maria Island is lined with boutiques, surf shops and snack bars. If you’re looking for some local art to take home, then Bradenton’s Village of the Arts features artists’ residences and galleries, you can be sure to find one of a kind art pieces. Visit the Bridge Street Bazaar for stores including Art Attack and The Back Alley; choose from quirky pieces of art to Florida style souvenirs for that perfect gift. Ellenton Premium Outlet is a huge mall boasting 130 shops and is located near Bradenton. You will find many designers including Coach, Michael Kors, Movado, Calvin Klein, Fossil, Lucky and Banana Republic. It attracts international shoppers and locals and you can find great deals and save between 25% – 65% off brands. 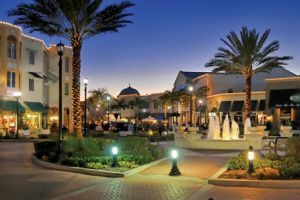 On Lakewood Ranch’s Main Street you will find stylish boutiques, international restaurants and a movie theatre, which offers independent, and art films as well as blockbusters. Additionally, local day spas throughout the area offer rejuvenation and relaxation for a perfect afternoon. Downtown Bradenton from October to May has a farmers market, offering local produce, health products, seafood, and cheeses. Additionally, from November to April, the Bridge Street Market offers local and handcrafted goods, from produce to jewelry. Pine Avenue is also a great place to start your shopping spree. Boutiques are lined along this stretch of village and the shopping runs right into the historic Anna Maria City Pier with a fantastic view of the bay, with great places to eat you can make this an enjoyable day out. Holmes Beach shops stretch through seven blocks of the town and include small unique gift shops, coffee and bagel café’s, fine silver, art galleries and even a full service grocery store. The nearby cities, including Sarasota have plenty of plazas and shopping malls, hundreds of specialty shops and quaint shopping villages with upscale boutiques and fine dining and even a flea market. You will be spoilt for choice on where to shop first! 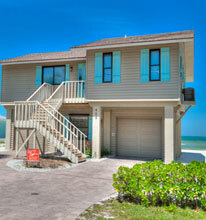 Along with shopping, there are many other Things To Do on Anna Maria Island.